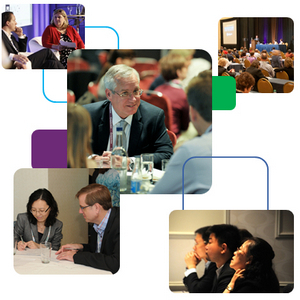 Experience an exclusive leadership opportunity uniquely created for attendees of GEO’s 17th Annual Conference. Designed and delivered by faculty from the University of Virginia's Darden School of Business, this one-day program features in-depth case study analysis where participants are actively engaged in the learning process. The curriculum addresses leadership topics reflecting current, relevant thinking in the fields of strategy, decision making and talent management. Gain new knowledge, enhanced leadership and management skills, and capabilities you can immediately apply to your work. This program is guaranteed to make you think about leadership in a new way. Discussion of real-world cases provides a powerful opportunity to develop judgment and practice new concepts. Explore guiding principles and identify effective approaches to solving management challenges. Learn concepts through cases drawn from industries that parallel the challenges you face in your own organization. Placed in the shoes of the case protagonist, you will be asked to make decisions, backed by critical thinking, and defend those decisions in a classroom of your peers. Conference attendees may register to be a part of this program for $379 (this price is incremental to GEO conference registration) and the course is open to all conference attendees. In order to ensure the proper learning environment, attendance to this course is limited, so register early and reserve your slot! The Executive Leadership Program consists of three seminars, and participants will be given reading assignments to be completed prior to the program. Attendees who register for this program will be expected to read the cases beforehand and be prepared for discussion. A certificate of participation will be issued to all attendees upon completion of the program. In this session, we will use a short case that sets up a classroom exercise. The exercise creates decision making challenges that include time pressure, conflict, disorganized data and information ambiguity for managers who must make a decision that holds large strategic implications for their company. The discussion and experiential nature of the material effectively illustrates common “decision traps” that leaders must be aware of in order to lead and make decisions effectively. This session highlights the way values and ethics can and should influence our decision making. The case focuses on a particular managerial decision—in this case, a promotion decision—that must be made in light of the leader becoming aware of some potentially relevant information that has implications for the organization’s values. The objective is for participants to discover ways they can further develop their own values-based decision making framework. In this closing session, we will discuss the book Drive: The Surprising Truth About What Motivates Us by Dan Pink, and highlight several important lessons for managerial leadership, especially as it pertains to talent management and incentive management. Understanding the scholarship on motivation is key to understanding how to lead others effectively. Jared D. Harris is a faculty member at the University of Virginia’s Darden School of Business and a Senior Fellow at Darden’s Olsson Center for Applied Ethics. He is a celebrated professor who teaches courses and workshops on strategic thinking and ethical decision making to military officers, leaders in education, legislative leaders, students, and business executives. 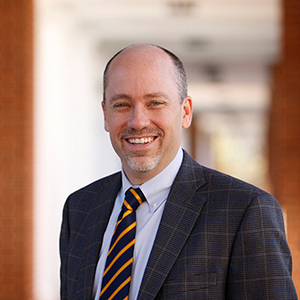 In the Darden curriculum, Jared teaches both the required MBA strategy course and the required MBA business ethics course, in which he has also served as course head. His research centers on the interplay between ethics and strategy, with a particular focus on the topics of corporate governance, business ethics, and inter-organizational trust. Recent books include Public Trust in Business (Cambridge University Press, 2014) and The Strategist’s Toolkit (Darden Business Publishing, 2013). His work has been published in a number of prestigious refereed academic outlets and highlighted in the New York Times, the Washington Post, and The New Yorker, as well as other media outlets in the United States, Canada, Germany, India, Portugal, and the U.K.